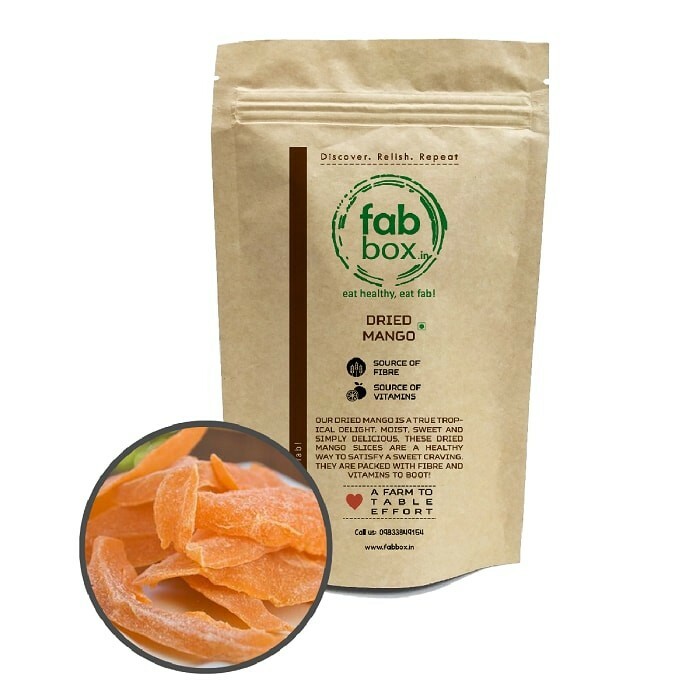 Buy Dried Mango of FabBox from Mumbai online | Authentic Indian Sweet , Savories and Delicacies from the place they originate by Moipot. Who does not want to have a mango in winter? The answer is everyone. The dried mango fruit chew from Fab Box is served to fulfil that question. The sweet pulpy taste of ripe mangoes are captured in this anti-oxidant rich, gluten & carb free chew made with mangoes, sodium metabisulfite and a dash of sugar.